Tim Gebhardt was a standout point guard at Bucyrus Wynford High School before playing four years for Coach Jim Burson at Muskingum College. He earned his Ohio basketball officiating license while attending Muskingum and began officiating after graduation. He has been wearing the black and white stripes ever since. After wearing the whistle for 40 years Gebhardt had officiated the Boys State High School Tournament nine times and had worked games on the Regional level for 27 consecutive years. He has worked women's games at the collegiate level for 28 years. He officiated at the Division I, II and III levels, the highlight being the 2009 Division III Final Four. 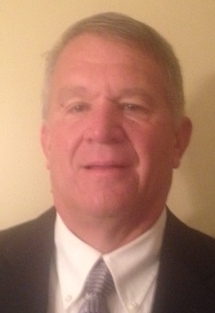 Gebhardt is past president of the Lake Erie Basketball Officials Association and has served the organization as Rules Interpreter for several years.